Justin "Jay" Starrett is one of the biggest threats left in the game heading into Survivor: Millennials vs. Gen X's finale Wednesday night on CBS. Jay, a 27-year-old real estate agent and former bartender from Fort Lauderdale, FL, has managed to survive vote after vote although the merged Vinaka tribe agrees he's a physical, strategic and social threat. If the tribe doesn't attempt to take out Jay right away, he could easily win Individual Immunity Challenges and make it all the way to the end. He also has a lot of friends and former allies on the jury. Jay is one of three millennials left in the game with three Gen Xers. 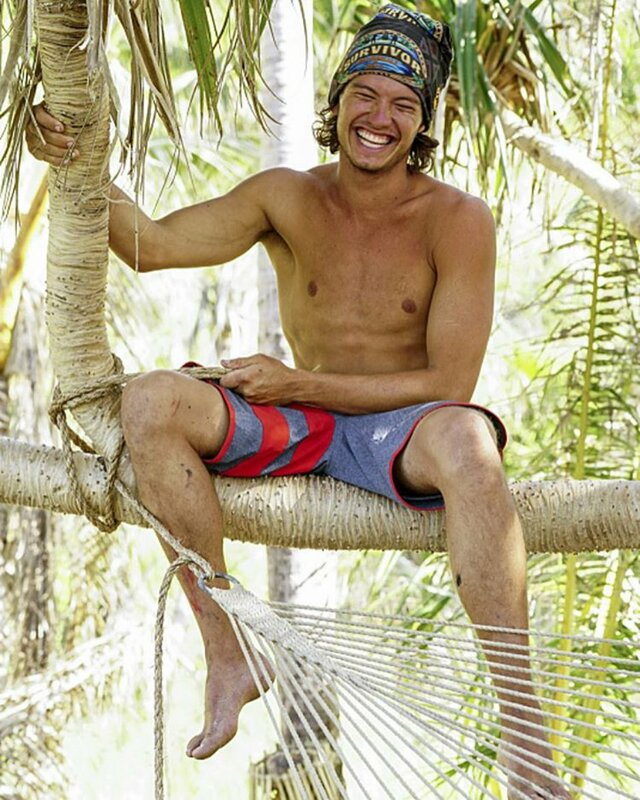 Jay might've been stereotyped as a surfer dude at the beginning of the season, but he's made it clear he has goals in life, and winning the $1 million at the end of Survivor is one of them. Want to learn more about him? - Jay's inspiration in life is his mother, whom he calls a "little Peruvian soldier" and his "hero." She has overcome past divorces and health issues, including 10 brain aneurysms and six surgeries. He also adores his sister Melanie. - Jay prefers meat over vegetables, he's a Republican and he enjoys reading books more than watching TV.